Chevron’s presence in Malaysia spans 75 years and includes a vast network of Caltex-branded service stations in Peninsular Malaysia. Chevron also plays an active role in supporting local Malaysian communities by focusing on HIV/AIDS awareness and promoting education and job training programs. 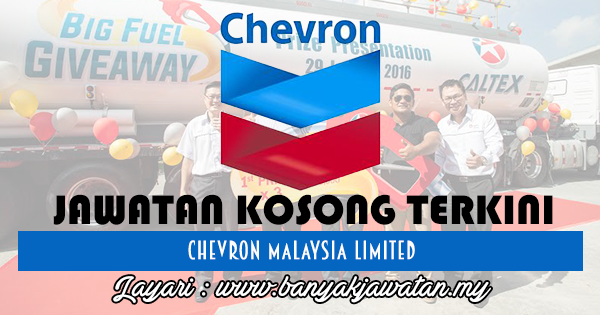 0 Response to "Jawatan Kosong di Chevron Malaysia Limited - 5 November 2017"